Bangkok is known for religious sites, shopping, historic sites, nature, and nightlife. Your plan includes some of its best attractions: contemplate in the serene atmosphere at Wat Pho, look for gifts at Raja's Fashions, explore the historical opulence of The Grand Palace, and browse the eclectic array of goods at Chatuchak Weekend Market. To see ratings, traveler tips, where to stay, and more tourist information, go to the Bangkok travel planner. Use the Route module to find suitable travel options from Naestved, Denmark to Bangkok. Traveling from Naestved to Bangkok, you'll lose 6 hours due to the time zone difference. Traveling from Naestved in October, things will get much warmer in Bangkok: highs are around 38°C and lows about 30°C. On the 25th (Tue), wrap the sightseeing up by early afternoon so you can travel to Aarhus. Located on the sea, Aarhus blends a world city with a small-town feel. Home to a young population, the city has a reputation for producing internationally known pop and rock musicians. Kick off your visit on the 26th (Wed): get outside with Marselisborg Havn and then find something for the whole family at Eventhall ApS. Keep things going the next day: race across the water with a speed boat tour, then take in the architecture and atmosphere at Brabrand Church, and then identify plant and animal life at Aarslev Engso. To find more things to do, ratings, traveler tips, and tourist information, use the Aarhus itinerary maker. The Route module can help you plan travel from Bangkok to Aarhus. The time zone difference when traveling from Bangkok to Aarhus is minus 6 hours. Expect much colder temperatures when traveling from Bangkok in October; daily highs in Aarhus reach 15°C and lows reach 7°C. Wrap up your sightseeing on the 27th (Thu) to allow time to take a train to Copenhagen. Copenhagen is known for sightseeing, theme parks, historic sites, museums, and nightlife. Your plan includes some of its best attractions: get in on the family fun at Tivoli Gardens, appreciate the history behind The Little Mermaid (Den Lille Havfrue), admire the masterpieces at Thorvaldsens Museum, and take a stroll through Nyhavn. To see more things to do, reviews, and tourist information, go to the Copenhagen trip generator. Traveling by train from Aarhus to Copenhagen takes 3 hours. Alternatively, you can drive; or do a combination of flight and train. In October, daytime highs in Copenhagen are 15°C, while nighttime lows are 9°C. Wrap up your sightseeing on the 31st (Mon) to allow time to fly to Stockholm. Stockholm is known for museums, sightseeing, nature, historic sites, and nightlife. Your plan includes some of its best attractions: take an in-depth tour of Vasa Museum, take in nature's colorful creations at Millesgarden, test your problem-solving skills at popular escape rooms, and explore the historical opulence of Royal Palace. To find ratings, more things to do, photos, and tourist information, go to the Stockholm sightseeing planner. Fly from Copenhagen to Stockholm in 4 hours. Alternatively, you can take a train; or drive. Plan for a bit cooler temperatures traveling from Copenhagen in November, with highs in Stockholm at 6°C and lows at 1°C. Finish your sightseeing early on the 4th (Fri) to allow enough time to travel to Oslo. Oslo is known for museums, sightseeing, nightlife, historic sites, and nature. 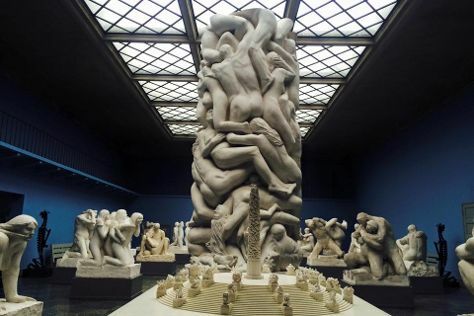 Your plan includes some of its best attractions: explore the world behind art at Vigeland Museum, contemplate the long history of Akershus Castle and Fortress (Akershus Slott og Festning), take in the architecture and atmosphere at St. Hanshaugen, and explore the engaging exhibits at Kon-Tiki Museum. For reviews, maps, other places to visit, and tourist information, use the Oslo vacation planner. Traveling by combination of train and flight from Stockholm to Oslo takes 3 hours. Alternatively, you can take a train; or drive. Expect a daytime high around 5°C in November, and nighttime lows around -1°C. Wrap up your sightseeing by early afternoon on the 7th (Mon) to allow enough time to travel to Paris. Step out of Paris with an excursion to Palace of Versailles in Versailles--about 44 minutes away. There's much more to do: see the interesting displays at Musée d'Orsay, explore the world behind art at Louvre Museum, get to know the fascinating history of Champs-Elysees, and admire the landmark architecture of Cathédrale Notre-Dame de Paris. For maps, ratings, where to stay, and other tourist information, read our Paris vacation planner. Getting from Oslo to Paris by combination of flight and train takes about 5.5 hours. Other options: drive; or do a combination of bus and ferry. In November, Paris is a bit warmer than Oslo - with highs of 12°C and lows of 5°C. 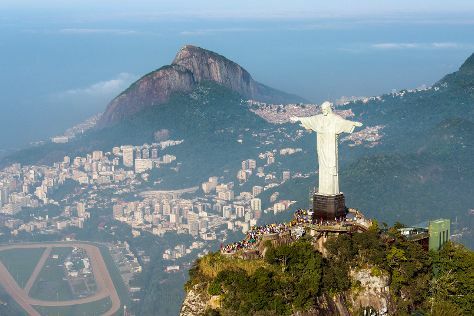 On the 12th (Sat), wrap the sightseeing up by early afternoon so you can travel to Rio de Janeiro. Rio de Janeiro is known for sightseeing, beaches, parks, nature, and museums. Your plan includes some of its best attractions: take in nature's colorful creations at Botanical Garden (Jardim Botanico), stroll through Pedra do Arpoador, catch a live performance at Theatro Municipal do Rio de Janeiro, and explore the striking landscape of Parque Nacional Tijuca. To see traveler tips, reviews, other places to visit, and tourist information, read our Rio de Janeiro vacation planner. Use the Route module to find suitable travel options from Paris to Rio de Janeiro. You'll gain 4 hours traveling from Paris to Rio de Janeiro due to the time zone difference. Prepare for much hotter weather when traveling from Paris in November: high temperatures in Rio de Janeiro hover around 32°C and lows are around 24°C. Wrap up your sightseeing by early afternoon on the 16th (Wed) to allow time for travel to Honolulu. You'll find plenty of places to visit near Honolulu: Haleiwa (Waimea Bay & Sunset Beach Park) and Kailua Beach Park (in Kailua). On the 18th (Fri), enjoy a perfect day by the water at Waikiki Beach. There's much more to do: appreciate the history behind USS Arizona Memorial, go for a walk through Diamond Head State Monument, and stroll the grounds of National Memorial Cemetery-Pacific. To see traveler tips, where to stay, reviews, and tourist information, go to the Honolulu tour planner. Use the Route module to find suitable travel options from Rio de Janeiro to Honolulu. Traveling from Rio de Janeiro to Honolulu, you'll gain 7 hours due to the time zone difference. In November in Honolulu, expect temperatures between 33°C during the day and 26°C at night. Wrap up your sightseeing on the 20th (Sun) early enough to travel back home.